The World’s Best Low-Cost Long-Haul Airline and Europe’s Best Low-Cost Airline, Norwegian released its latest figures this morning. The carrier that has recently taken a short-term lease of Hi Fly's A380 double-decker, reported a new passenger record in July - it flew almost 3.8 million people in a single month. Up a massive 13 percent from the same month last year. It also reported an astonishingly high load factor of 93 percent. 3,796,283 folk chose to travel with Norweigan during July, “We are very pleased that an increasing number of passengers in Europe, USA, South America, The Middle East and Asia choose Norwegian for their travels. It is also satisfactory that even with a strong capacity growth our load factor is high. Our capacity growth is still high, but it is not increasing as rapidly as in previous months, which is in line with our strategy. 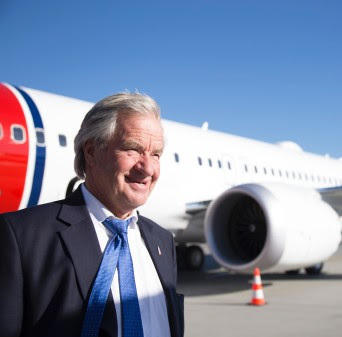 We have been through a long period of strong growth and going forward we will reap what we have sown for the benefit of our customers, staff and shareholders,” said CEO Bjørn Kjos of Norwegian. The airline also had a good record on not cancelling flights as it reported operating 99.2 percent of the scheduled flights in July. 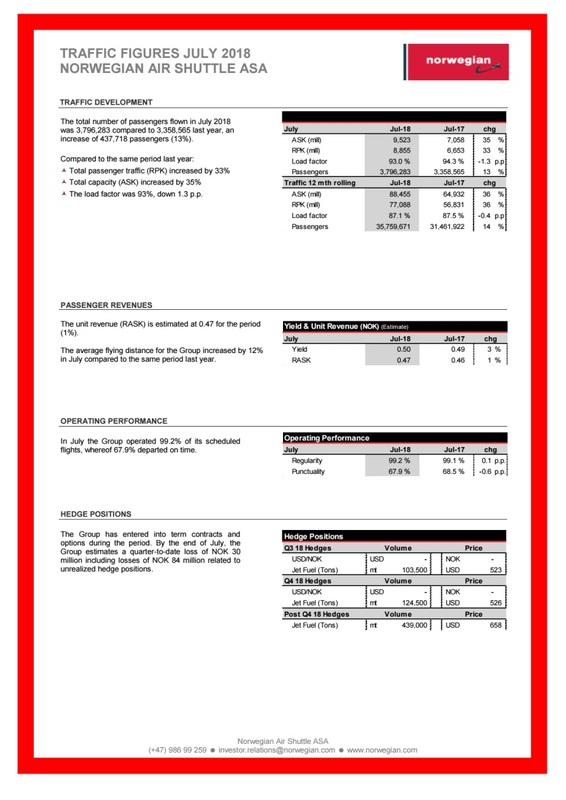 However, proving a cause for concern is the on-time performance, the airline advises that only 67.9 percent departed on time during the month. Although it should be noted that the on-time performance for July was influenced rather heavily by widespread air traffic control strikes in Europe.